The law firm of Delaney & Muncey was founded in 1985 in Plymouth, Massachusetts by David L. Delaney, Kathleen P. Muncey and Peter N. Muncey, Jr. for the purpose of providing professional legal services in the areas of real estate and estate planning. 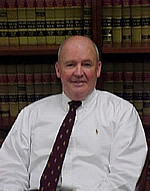 David L. Delaney began practicing law in Plymouth in 1972. After countless hours spent at the nearby Plymouth County Registry of Deeds during the early years of his career, he developed a thorough knowledge of titles and their relationship with the development process which provides depth for his main areas of practice today in land use planning and permitting and real estate litigation. Kathleen P. Muncey shares a similar title based background. She worked as a title examiner during law school and beyond. Her practice now is devoted almost exclusively to real estate related matters including residential and commercial real estate transactions. She has developed a particular expertise in resolving title issues involving missing interests. Both Mr. Delaney and Mrs. Muncey are experienced Land Court title examiners and effectively represent a broad client base ranging from local businesses to national corporations, first time home buyers to real estate developers, and small charitable concerns to large lending institutions. Peter N. Muncey, Jr. brings balance to the real estate bent of the firm by practicing and providing services in the areas of estate planning and settlement and elder law. He started his career in 1982 by working for respected area estate planner Charles H. Randall, Jr., Esq. whose tutelage and guidance proved invaluable. Over the years, Mr. Muncey's client base has grown by referrals from clients, other attorneys and trust officers. He has a well deserved reputation among his clients and peers for commitment, professionalism and prompt, efficient service. His clients range from those of modest means to the very wealthy, but all are afforded the same high degree of care and attendance to their specific needs. Over the years Delaney & Muncey has been able to provide client continuity for many distinguished area attorneys including Charles H. Randall, Jr., Gerald Galassi, Esq., Robert M. Briggs, Esq., and Frederick J. Sheehan, Esq. Each entrusted their files to the firm as they approached retirement so that their clients would have competent legal advice readily available if the need arose. To better serve our clients and meet their diverse needs, Delaney & Muncey has selectively expanded its staff to offer a wider range of legal services. Kathleen M. Mulvey joined the firm in 2002 with a background as a registered nurse which provides a deeper understanding of medical needs that often arise in the guardianship and conservatorship matters she handles. 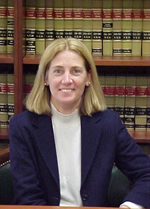 Before joining us Ms. Mulvey worked as a law clerk for the Justices of the Probate Court. In addition to guardianship/conservatorship matters Ms. Mulvey focuses her practice on probate/estate matters, Medicaid/Masshealth planning/applications and estate planning. Bryan E. Fecteau came on board in 2006 after practicing corporate law with a large Boston firm for the first five years of his career. Mr. Fecteau handles matters in business succession planning, corporate law and business transactions, and also handles estate planning and estate settlement matters for our clients. Since 1985 and until recently the firm's offices were located in historic downtown Plymouth, with a satellite office in Weymouth. To accommodate growth, Delaney & Muncey moved and consolidated their offices in 2004-2005 and now occupy the third floor of 38 Resnik Road, Plymouth, a new office building in the heart of Plymouth's Industrial Park. This modern suite of offices is easily accessed from highways or local roads, is handicap accessible and has ample on site free parking. With a nod to the firm's beginnings in historic downtown Plymouth, the welcoming reception area at our new facility is appointed with framed vintage photographs of Plymouth and surrounding towns. Clients enjoy guessing the locations depicted in these photographs and noting the changes and similarities to modern day. Estate Planning involves the development of various legal instruments by which a client controls the management of his or her assets during lifetime and the ultimate disposition of these assets on death. An estate plan will generally involve the preparation of one or more of the following instruments: -LAST WILLS AND TESTAMENTS -DURABLE POWERS OF ATTORNEY -MASSACHUSETTS HEALTH CARE PROXIES -REVOCABLE LIVING TRUSTS, DESIGNED FOR --the administration of assets outside of probate --the management of property for minor or disabled children --the minimization of federal and state estate taxes -IRREVOCABLE TRUSTS FOR TAX AND ASSET PROTECTION PLANNING At Delaney & Muncey, P.C., the estate planning process begins with a conference with one of our attorneys. At the meeting, it is our goal to get to know our client well, as successful estate planning must begin with a full understanding of the client's assets, family situation, and, of course, the client's estate planning goals and wishes. We work with our clients to recommend and eventually prepare an estate plan that is appropriate for the situation. Our estate planners pride themselves on individual client attention and creative and detailed drafting. Our estate plans do not come "off the shelf", they are specifically tailored to our clients' needs, and designed to provide our clients with the piece of mind of knowing their affairs are in order. Biography: Attorney Muncey is a founding partner of Delaney & Muncey, P.C. 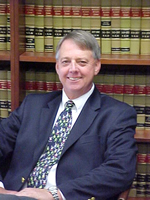 He has been practicing in the areas of Estate Planning, Estate Settlement, Probate Matters, Elder Law, Family Business, and Real Estate Matters for over 20 years. Member, Board of Trustees of Jordan Hospital, Inc. Biography: David Delaney is one of the three founding partners of Delaney & Muncey, P.C. Attorney Delaney concentrates in real estate law. His areas of practice include representation of buyers, sellers and lenders in the acquisition of residential and commercial real estate, Land Court matters, title litigation, and land use law, including zoning, subdivision, protected spaces, and conservation. Biography: Attorney Muncey is one of the founding partners of Delaney & Muncey, P.C. Her practice area is real estate law. 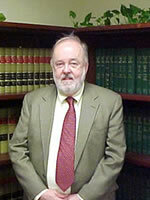 Attorney Muncey focuses on commercial and residential conveyancing and mortgage loan transactions; title research, reports, certifications and insurance; resolving title issues and curing title defects through Land Court proceedings; resolving boundary line disputes through agreement, land swap and easement; zoning, subdivisions and land use regulation matters; condominium development and leasing. She is a Land Court title examiner and title insurance agent for Land America and First American Title Insurance Company. In addition to her professional affiliations, Kathy served as trustee and president of the Duxbury Education Foundation from 2001-2004 and volunteers her time to many school, youth sport, and church activities. Biography: Kathleen Mulvey's areas of practice encompass Estate Planning, Probate law, Guardianship, and Elder Law. Attorney Mulvey, also a registered nurse, is a former director of nursing for long term care/rehabilitation facilities which provides her with a unique insight into the issues of elder citizens. She is certified by the Massachusetts Committee for Public Services to accept assignment representing clients involving issues of mental health and geriatric Rogers proceedings. Attorney Mulvey is also a certified mediator. Following law school, Attorney Mulvey was selected as a judicial clerk to the justices of the Massachusetts Probate and Family Court. 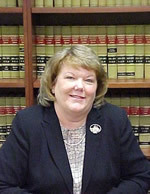 During her two-year tenure with the Probate Court, she conducted legal research for the justices and assisted in the drafting and development of legal opinions and findings for the Court. In addition to her professional affiliations, Attorney Mulvey volunteers her time at the Talking Information Center recording radio programs for their listeners who are blind and serves on the Board of Directors for the Plymouth County Bar Association. Biography: Bryan Fecteau's areas of practice at Delaney & Muncey, P.C. include Estate Planning, Estate Settlement, Probate Matters, Elder Law and Corporate Law. 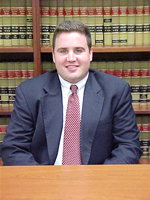 During law school Attorney Fecteau was a member of the Boston University Law Review. Attorney Fecteau began his career in the Business Practice Group of Testa, Hurwitz & Thibeault, LLP, Boston, and later practiced in the Business Law Department of Goodwin Procter LLP, Boston. While at Testa, Hurwitz and Goodwin Procter, Attorney Fecteau advised a wide range of business enterprises on matters including corporate formation and governance, debt and equity financings, mergers and acquisitions and executive compensation. Law School: Harvard University, 1969, J.D. Biography: Attorney Blanchard began his legal career as an associate with the Boston law firm, Haussermann, Davison & Shattuck where he concentrated in corporate and tax law. In 1975, he created the position of General Counsel at Angelo's Supermarkets, Inc. overseeing all the company's legal affairs. He later served as General Counsel for its affiliated company, Tedeschi Foods Shops, Inc. and as Vice President and General Counsel of Tedeschi Realty Corporation until January, 2008, when he became of counsel to Delaney & Muncey. He specializes in business organization; land use, development, permitting and financing; and commercial leasing. He currently serves as a member of the Duxbury, MA Finance Committee and the Advisory Board of the South Shore Tri-Town Development Corporation, the developer of the former South Weymouth Naval Air Station. He has previously served on the Plymouth, MA Zoning Board of Appeals, the Cura Visiting Nurse Association Board of Directors, and the Board of Directors of The Wildlands Trust of Southeastern Massachusetts.